Would you pay about an extra $30 a year in property taxes for OCSD's educational facilities? 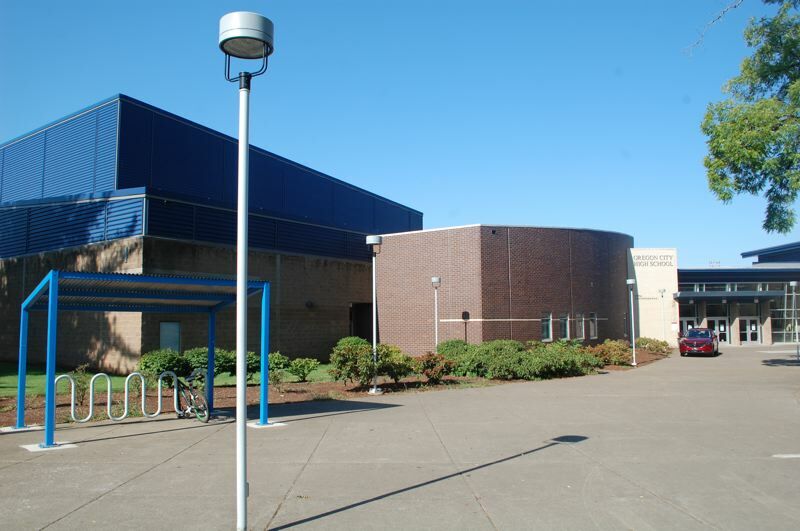 Would you pay about an extra $30 a year in property taxes for Oregon City school facilities? That's the question the Oregon City School Board is asking local voters by unanimously deciding to place a $158 million bond on the November ballot. Approximately $90 million of OCSD's bond would go to replace Gardiner Middle School and $20 million would renovate Ogden Middle School, officials estimate. Much of the remaining $48 million is allocated to address safety and security updates starting as early as the summer of 2019 at the district's other 10 schools. "The bond would allow the district to address deferred maintenance issues such as leaking roofs, as well as to update, repair, and replace outdated mechanical and electrical building systems," said district spokesman Michael Clark. OCSD officials are asking voters to approve a bond property tax rate of $1.24 per $1,000 of assessed property value. That amount is 10 cents more than property owners paid last year, which would be an added cost of about $2.50 per month for the owner of a home assessed at $300,000. "Community support for this bond would provide us with the resources to dramatically improve the safety and security of our children by making critical improvements and upgrades to our schools," said Martha Spiers, a member of the Oregon City School Board. District officials say the bond, if passed, would address current and future school overcrowding through major construction projects beginning in the summer of 2020. OCSD's two middle schools were built in 1954 and 1965 to serve 500 to 600 students, but now each serves 850 to 900 children. If passed, bond construction would remove all of the portable classrooms at Gardiner Middle School. Portables being used at various other schools across the district would likely remain in use after the construction activities resulting from the 2018 bond. A new Gardiner Middle School be built on the current Gardiner track, which will affect student athletes' ability to train/compete during the construction. If the bond passes, Clark said the district and school would create a plan for outdoor sports and activities until the new structures are completed. Once students move into the new building, the old Gardiner building would be razed and replaced with a new track. So that students can continue to attend school during construction, "the Odgen remodel project would utilize spring, winter and summer breaks along with strategic staging and construction throughout the year," Clark said. A renovated Ogden Middle School would continue to serve to northern half of the district for another five to seven years, when district enrollment projections predict the need for another elementary school. At that point, district officials plan to go back to voters for another, smaller bond proposal targeted at building a new middle school near Forsythe Road adjacent to Holcomb Elementary. In August 2017, the OC School Board approved the right of first refusal of the Serres family-farm property for this middle-school land purchase. If voters approve the bond this year, OCSD would purchase the Serres property and reserve it as an area for building the future middle school. If and when district voters approve another bond (around year 2025), a new Ogden Middle School would be built next to Holcomb Elementary, and the remodeled Ogden would become OCSD's sixth general-attendance elementary school. Because of the potential to save about $10 million in construction costs, Clark said the idea of creating a single middle school was discussed by district officials and was part of a community poll. It was determined that creating a single middle school of around 2,000 students would make it a highly unusual model in Oregon. "If the district decided to explore or pursue this option it would have required multiple years of research, community planning and communications," Clark said. "Going down this path would have essentially taken the current bond conversation off the table, further delaying overdue facility improvements and upgrades in Oregon City. Additionally, just finding the real property to place such a large campus was also part of the conversation." With the potential construction savings disappearing in increased busing costs, the unpopular idea of merging the two OCSD middle schools was scrapped. If approved by voters, the bond would bring safety and security updates to all 12 of the buildings still operated as schools by OCSD. Although it's the district's newest building (constructed in 2000), Oregon City High School would be scheduled to receive career-and-technical upgrades if the bond passes. In addition, the bond would fund updates to OCSD's other 11 working school buildings built between 1938 and 1975, providing energy efficiencies, heating, cooling, air conditioning, plumbing and roofing. If voters approve the bonds, it will be OCSD's first major expansion in 40 years. The district closed Park Place Elementary School in 2009, and then Mt. Pleasant and King elementary schools in 2012. Officials say that reduced enrollment has forced many districts to close smaller schools due to their proportionally higher cost of operation. OCSD has found other uses for the closed schools. The district sold the Mt. Pleasant property to the city as the future home of the police department. Still owned by the district, the Park Place and King school properties are leased to a charter school and used as the OCSD alternative high school. OCSD's Barclay and Eastham properties, which closed as elementary schools prior to the other three, currently serve the district's Community Education and homeless-student-outreach programs. OCSD Superintendent Larry Didway has promised to ensure accountability through a citizens' oversight committee chosen by the school board to track project implementation over the long-term. The current bond proposal was developed with input from an independent citizen taskforce last fall. "We are grateful to our community for their involvement and thoughtful input on this proposal," Didway said. "Our proposal was designed to serve the priorities of Oregon City residents." If voters approve the $158 million bond, the state would provide more than $3.7 million in matching funds. The amount contributed by the state could be as high as $8 million depending how many other Oregon districts have bonds approved by voters this fall. The Oregon Department of Education is providing the matching funds as an incentive for voters to approve bonds in high-poverty or low-assessment communities. "Any additional funds received from the state would be used to fund a priority list of needed upgrades in our 12 schools," said Wes Rogers, OCSD director of operations. Voters approved the district's previous bond in 2000 to build OCHS. The district refinanced the bond two times, saving OCSD taxpayers more than $6.3 million.